Email. It can be the source of some of IT's biggest headaches. As it eats up storage and bandwidth, it also opens up holes in your IT security plan. But there is good news. 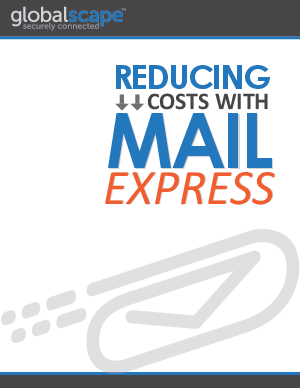 Mail Express can easily solve your most troublesome headaches surrounding email and it can reduce costs, too! Get all the answers instantly when you download our Mail Express whitepaper.